When you need a primary care physician in Chicago, you need Chicagoland Complete Healthcare. Your health is a big deal, and it’s not something that you should entrust to just any primary care physician in Chicago. Whether you or one of your family members is injured, sick or just in need of an examination, it’s important to find a physician you can trust and rely on. At Chicagoland Complete Healthcare, we aim to be more than just your average primary care provider. We also want to be a true advocate for you and your family, ensuring that you have all of the information you need to make the right decisions about your health and wellness. Adult Medicine and Geriatrics – Whether you’re looking for preventative screenings, point-of-care testing, mental health screenings, immunizations, dermatological screenings or virtually any other treatment for older adults, we can help. Sports Medicine – Our sports doctor is dedicated to helping you achieve and maintain an active, healthy lifestyle, and we can treat many different conditions, including frozen shoulder, tendonitis, tennis elbow, trigger point injections and much, much more. Pediatric Medicine and Adolescents – We have what it takes to care for your whole family, and we offer flu shots, well child visits, routine immunizations, developmental screenings, adolescent counseling, sports/school physicals and more. Women’s Health – We offer complete women’s health services, which include annual well women visits, immunizations, preconception counseling, STD testing and treatments, endometrial biopsies and more. Newborn Care – Whether it’s your first baby or your fourth, having a newborn can be trying, but we can help. We offer care for newborns, as well as support for new parents, a complimentary visit with our doctors for expectant parents, a check-in visit after you’ve been discharged from the hospital, routine newborn visits and vaccine administrations. As you can see, we are so much more than your standard primary care provider. We have what it takes to provide your whole family with the care they need, from newborns to older adults. Schedule your appointment with Chicagoland Complete Healthcare today. 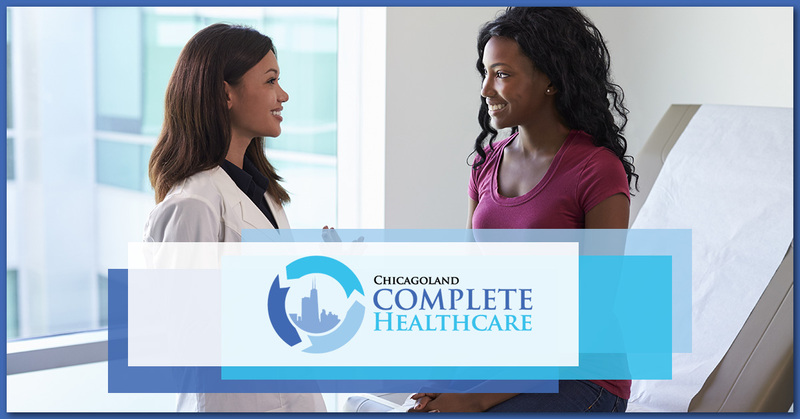 Whether you’re dealing with a sports injury, you need care for your newborn, you’re due for a well women’s visit or your child needs a physical for school, there’s no better provider to turn to in Chicago than Chicagoland Complete Healthcare. We are available Monday through Saturday, and, unlike most providers, we accept same-day appointments. The next time you’re searching for a “primary care physician near me” in Chicago, turn to a provider you can trust by turning to Chicagoland Healthcare Center. Visit us online to schedule your appointment today!